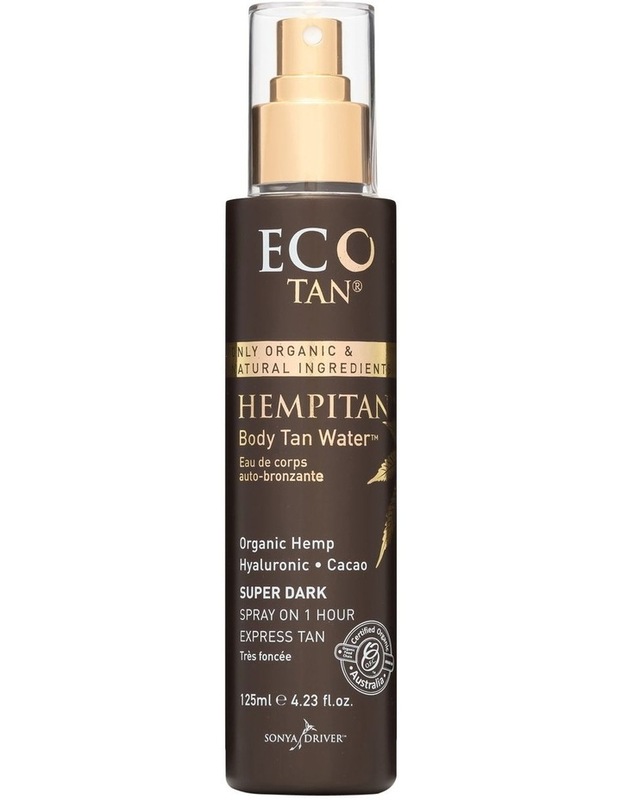 HEMPITAN BODY TAN WATER. 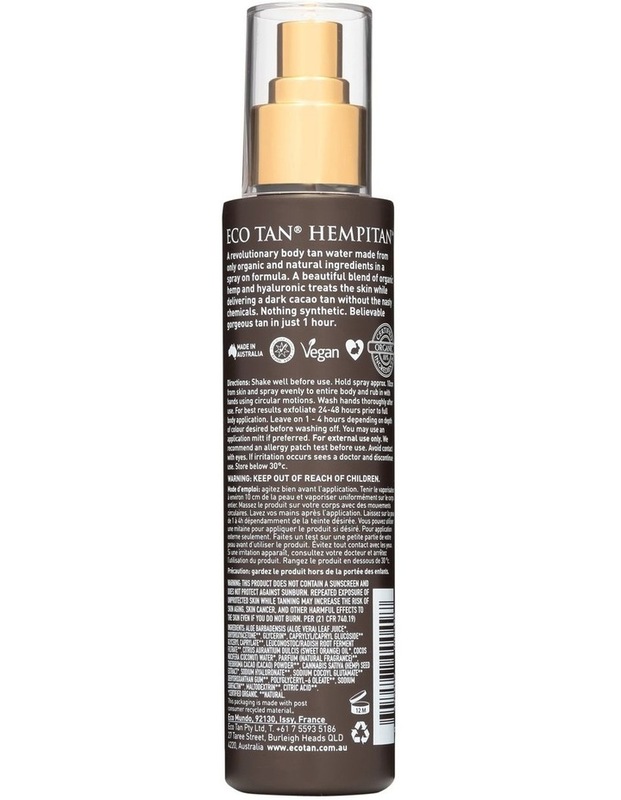 A revolutionary world first Organic Hemp Body Tan Water made from only organic and natural ingredients in an easy to apply spray on formula. A beautiful blend of organic hemp seed extract hyaluronic to treat the skin while delivering your longest lasting tan yet. Non- comedogenic. Wont clog your pores. Wash off in just 1 hour. Colour continues to develop for 24 hours. NOTHING SYNTHETIC. BELIEVABLE GORGEOUS CACAO BRONZE TAN. Hemp Seed Extract is known to help relieve skin irritation & provides moisture. 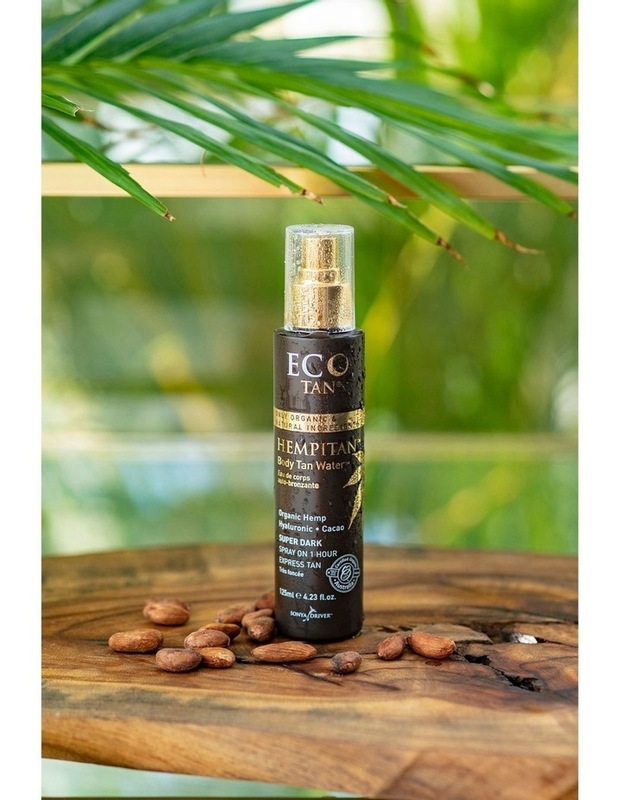 Cacao helps to soothe, hydrate & balance skin complexion. Pure Hyaluronic naturally boosts the moisture in your skin. Directions: Spray evenly to entire body and rub in using your hands or a smooth mitt. Wash off after 1 hour. Colour will continue to develop for 24 hours.